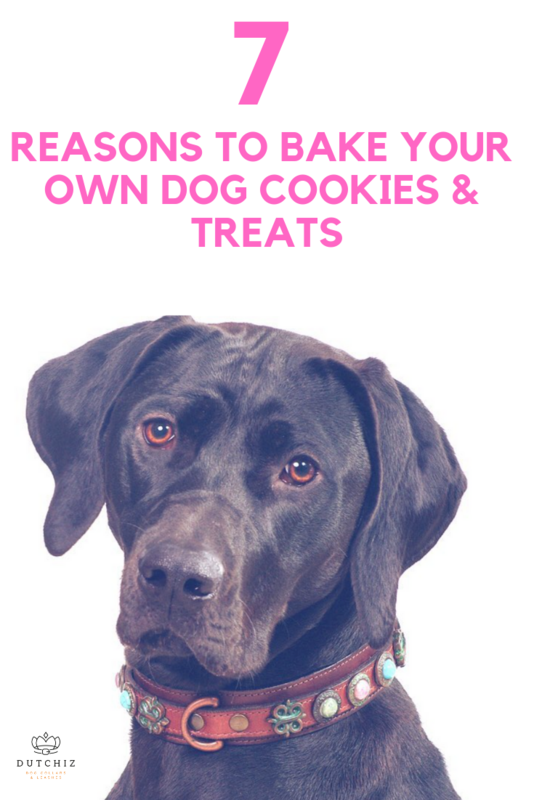 Sharing tips and recipes for making your own dog treats and snacks. I love trying new recipes and taste new flavours. During the week I usually stick to recipes I know everybody loves and eats (--> the kids). In the weekend I take more time and really enjoy cooking. The kids love cooking too. They know their way around the kitchen and let me tell you my oldest daughter makes the best eggs. Every now and then we bake cookies and treats, not for ourselves but for the dogs. It’s a great activity for some quality time with the kids or something for you to do by by yourself (including nice music and a drink). The internet is full of recipes and we have tried a lot of them. 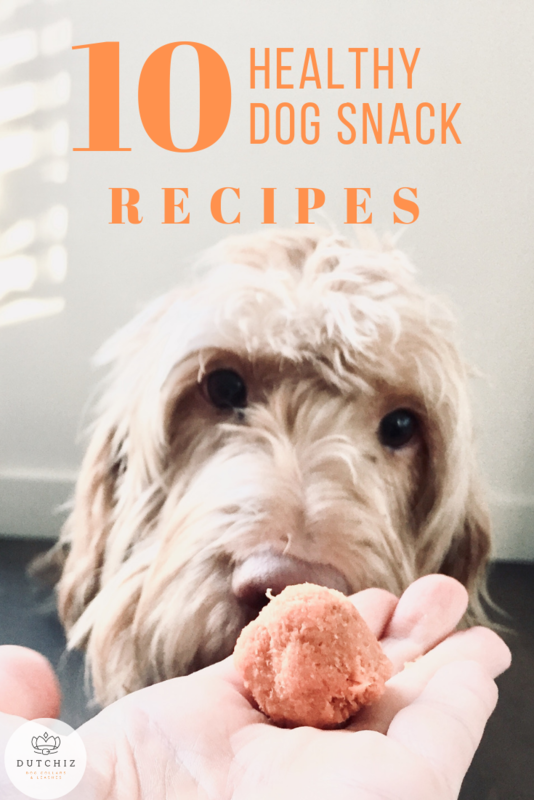 So if you’re thinking you would like to make some dog cookies or treats yourself, keep reading and have a go at making 10 of our favorite recipes. More and more pet stores sell natural products and products with less or no additives. That's a great development. The benefits of baking dog treats yourself is that you know exactly what they are made of. You choose the ingredients, you know it’s a good product. The benefit of baking dog cookies is that they don’t have to look picture perfect. You can mold and shape them any way you like. Another benefit: it is (almost) kitchen dummy proof. I swear, even my worst dog cookie bake ever was received by nothing less than a cheering crowd of dogs and was gone in no time. If you're planning on baking dog cookies & treats there are a couple of kitchen items that will help you a lot. When baking cookies makes sure you pre heat the oven at 200 Celcius. 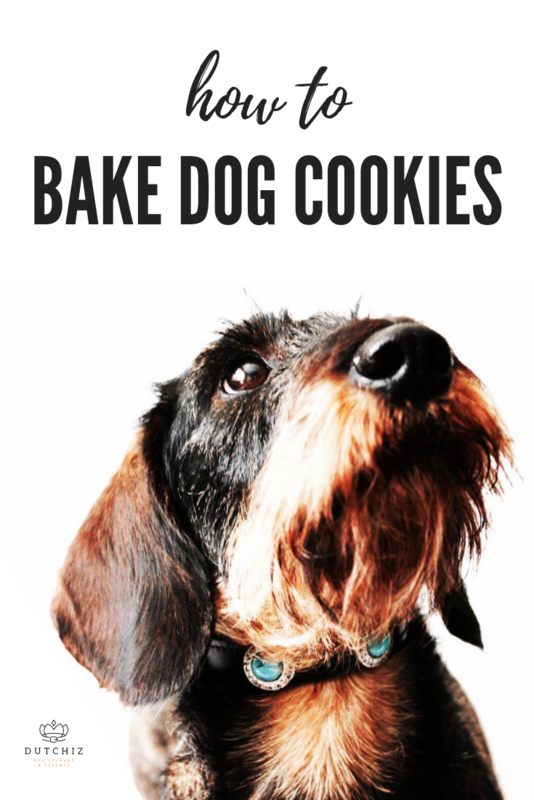 Here are 10 easy bake dog cookie & treats recipes that will knock your dog of its paws. Trust me, they will love you and adore you when they taste your homemade treats. PS don’t put them in a cookie jar on the counter. It won't be the first time someone (let's say grandma) will take a bite. We regularly make a smoothie or a juice. Sometimes a healthy green one and sometimes a fruity one. No matter what you make you are always left with leftovers. When we use our juicer (for clear vegetable or fruit juice without fibres) the machine leaves behind a pretty large pile of pulp. The first few times we threw away the pulp, but that is really a big waste. You can either use the pulp as fertilizer for your garden or use it to make delicious dog treats. In the picture you see me holding a small ball in my hand. It might look like a small meatball but it's really not. It's a small carrot ball. I took out the pulp from the juicer and made small balls from it, just the way you would make a meatball. This particular carrot ball also has some apple in it because I made a carrot-apple-beet-lime-celery juice. Also be aware some vegetables or fruits are better not served to dogs, so be careful you don't mix everything together. I think pretty much all dogs love peanut butter. If your dog loves peanut butter than you should definitely try this recipe. Only three ingredients plus water. Take a large bowl and mix all the ingredients intil you see all the ingredients have mixed. Then add the water for the dough to become a little more smooth to roll out. If you have any baking molds you can use them to make nice cookies. If you don't just form round flat cookies by hand. Put your cookies onto your baking sheet & bake for about 15 minutes. Every oven is different so take the dog cookies out when the dog cookies have the colour you want them to be (light honey brown). Depending on how large your cookie cutter is you should be able to get a nice amount of dog cookies out of this batch. You can keep the cookies in a cookie jar for about a week or put half of the batch in the freezer. In a large bowl, stir together the flour, oats and flaxseed. Mix in 1/2 cup beef broth and peanut butter. Mix well, adding additional beef broth if necessary to bring the mixture together to a thick dough. Form into a ball and turn out on a lightly floured surface. For this delicious cold treat you need an ice cube tray and a blender. If you don't have a blender a potato masher could do the trick if the apples are not too hard. Fill up the ice cube tray untill it's full and place it in the freezer. After a few hours these treats will be ready and I'm sure your dog will love these fresh and natural treats. If your dog has a grain allergie this is a great treat for him/her. 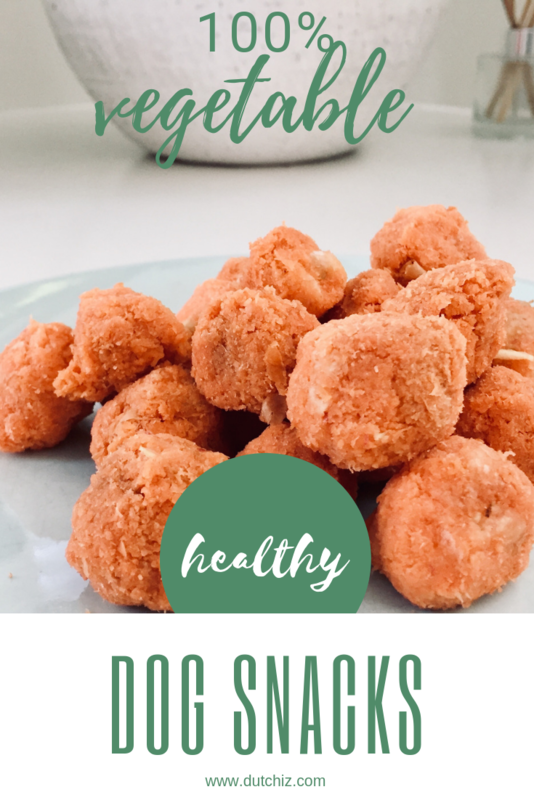 A simple three ingredient treat that is easy to make. You can keep the cookies in cookie jar or the freezer. A lot of dogs love carrots and apples, so I am sure these homemade dog treats will be a hit. These cookies will still be 'wet' due to the apple, therefore it's best to eat them within a couple of days or put them in the freezer. These treats will remain a bit moist and therefore have to be given within a couple of days. You can also keep them in the freezer and take out what you need. The easiest and maybe even the most delicious treats to make are these frozen bananas. All you need is two bananas and half a cup of peanut butter. 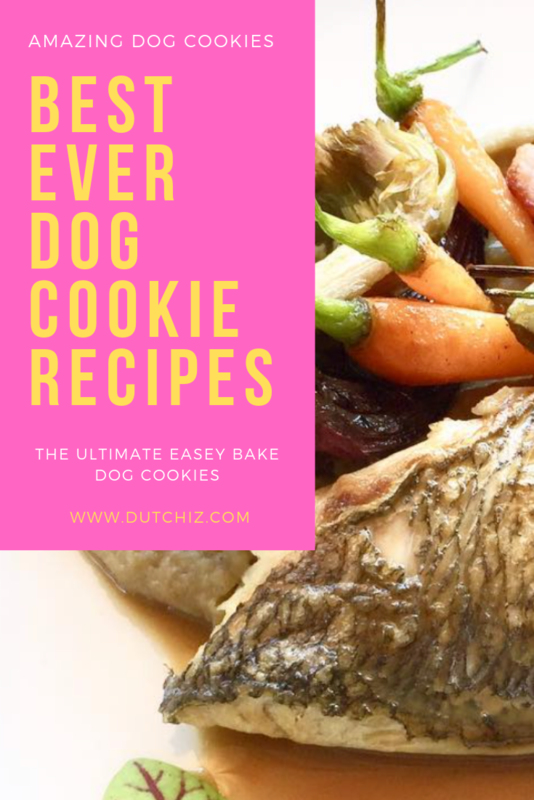 I hope you have found one or more recipes you would like to try making for your dog. You really don't have to be a master chef contestant to make these dog cookies and dog treats. I like easy, quick and tasty recipes and these fit that profile. Let me know if you made one of these recipes and more importantly if your dog liked them. Bon apetit dear doggy friends!